“In Russia, summer means cherries,” Sasha Shor wrote to us. As the temperature rose, the ruby orbs would arrive in the markets and when she was little her family would forage for them by her grandparents’ dacha in the Carpathian Mountains. The season, like the summer in the USSR, was short but bountiful. Her mother and grandmother would use black and sour cherries in every recipe they could to get the most out of that season, both in the USSR and later in Nashville. Mounds of cherries were folded into a simple and versatile cake batter that taste a touch like a muffin. 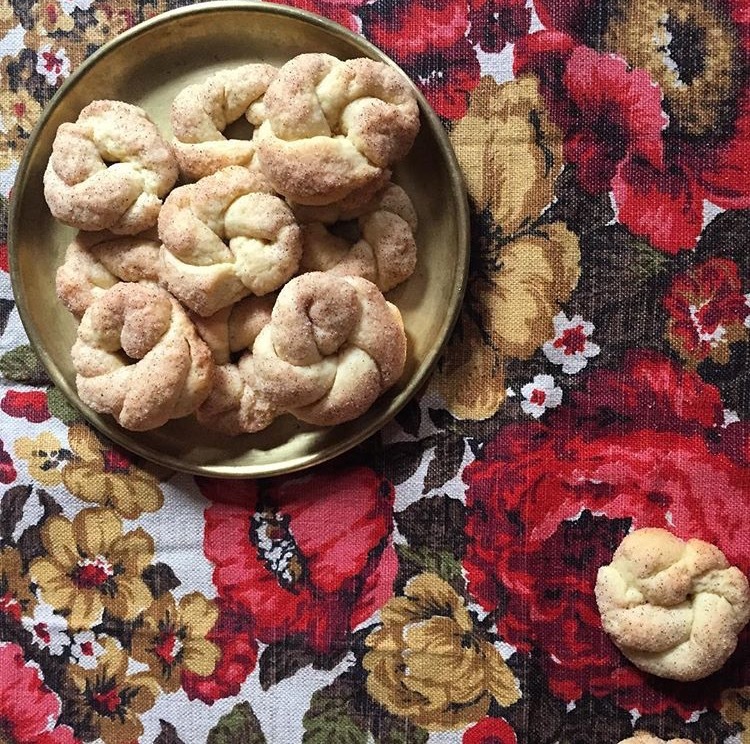 Handfuls were tucked with sour cream into dumplings called vareniki or cooked down with sugar to make preserves to be enjoyed during the rest of the year. Other times, the cherries were eaten plain. “I remember sitting in [my grandmother’s] kitchen with the colander in my lap and the water draining from the cherries onto my lap while I devoured them all,” Sasha adds. 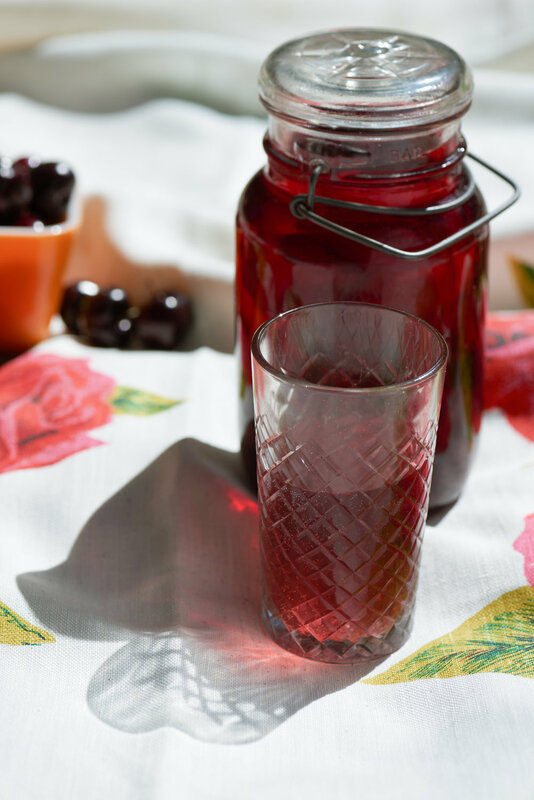 A staple recipe each summer was kompot, a light cherry punch, that would hang out in a pitcher in the fridge — ready to be pulled out and poured for a refreshing glass. While the drink can be made with nearly any summer fruit that a cook has too much of like plums or berries, cherry has always been Sasha’s favorite. The recipe makes a large quantity, perfect for a party or keep it on hand for your family for up to a week in the fridge — serve it with a picnic or simply a slice of the cherry cake. 1. Preheat oven to 350° and lightly butter the inside of a 9” springform pan (in locked position). 2. In a medium bowl, gently beat eggs with a whisk to combine. Add confectioners sugar and continue to beat until pale in color and no lumps of sugar appear in the mixture. 3. Whisk in the melted butter 2 tablespoons at a time until fully incorporated. Add the flour in thirds, whisking in between each addition to combine. Add the milk, baking powder, vanilla and lemon zest, whisking one last time to combine. Mixture should resemble a thick pancake batter. 4. Pour the batter into the prepared pan. Top with the cherries, sprinkling them evenly across the entire surface of the batter. Sprinkle the cherries evenly with the cane or demerara sugar. 5. Bake in middle rack of oven for 35-40 minutes or until golden around the edges and a toothpick inserted into the middle comes out clean. 6. Cool in the pan on a wire rack. If desired, finish with a light dusting of powdered sugar before serving. 1. Place cherries and sugar in a large 8 quart pot and add water. Bring to a boil, reduce heat to a simmer and cook for 10 minutes. 2. Take off heat, taste for sweetness and adjust if necessary. 3. 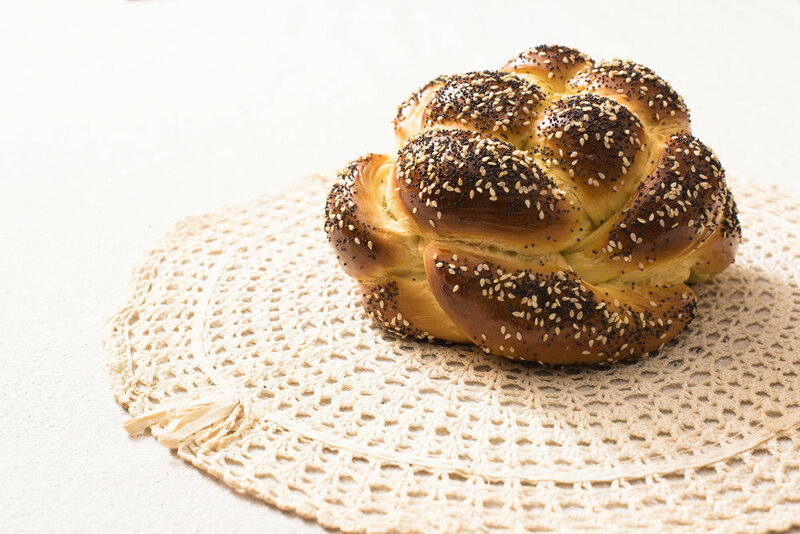 Allow to cool in the same pot until it comes to room temperature. 4. Transfer to a large jar or covered pitcher and allow to chill for 6 hours or preferably overnight. Chef’s note: Sasha likes leaving the fruit in the punch but some prefer to strain it and drink it clear. Do whatever you like, it’s just cherry punch! It’s not customary to add ice to kompot as it dilutes the sweet-tart balance of the punch so keep it ice cold and in the fridge…it won’t last long anyway!